The first recorded mention of Chellaston was in 1009 when it was known as Ceoleardesbeorge (beorg meaning hill) [Place Names of Derbyshire by Cameron.] By 1086, the Domesday Survey named it as Celerdestune or Celardestune . Eventually, after various spellings through time it became known as Chellaston. The population of Chellaston at the time of Bishop Crompton’s religious census in 1676 was about 140. In 1789 Pilkington described Chellaston as “a small farming village of 42 houses”. The national census of 1801 gave a population of 205 and in 1901 the population was 654, so in the 100 intervening years the population had increased more than threefold. The population had increased to 15,198 in 2012. It has now increased to a much greater, unknown, number with the addition of the new estates. St Peter’s Church dates from at least the 13th century when mention of “a gift by Alexander formerly Bishop of Coventry and Lichfield to Walter, Bishop of Karliol [Carlisle] of the church of Meleburn with its chapels of Chelardeston and Neuton” is made of it in a document in the Cumbrian County Record Office. 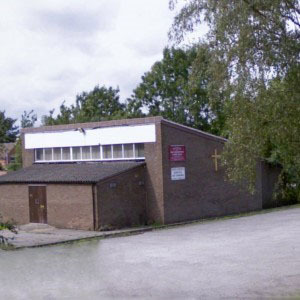 The responsibility for the church at Chellaston stayed with Melbourne until the late 19th century when the Reverend Joseph Hughes became the first resident incumbent at St Peter’s, Chellaston, previously a curate had looked after the church. 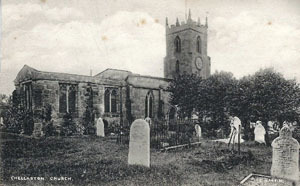 In 1840 a tower was built on the church. 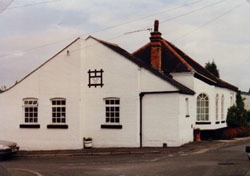 Methodism came to Chellaston in about 1812 when a Mr W. Astle asked that his house, situated in Chellaston, may be used for public worship by those dissenting from the Church of England. 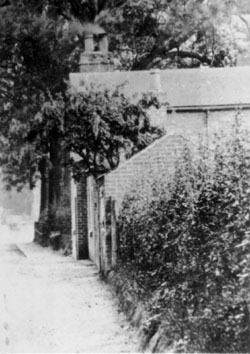 In 1816 a chapel was built in Chapel Lane. This is now a private house. 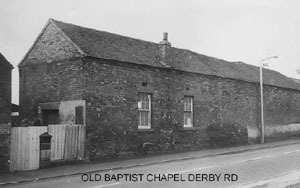 The 1816 building was used until 1876, when a new chapel was built in the High Street. Worship takes place there each Sunday. 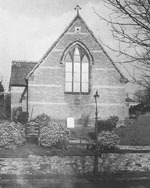 In 1868 Chellaston Baptist Chapel was opened on Derby Road but this disappeared with the building of the Parkway estate in the late 1970s. After worshipping at the Chellaston Golden Hour club on Maple Drive the opportunity came for the Catholics to open their own Chapel of Ease in the village. In 1971 the St. Ralph Sherwin Roman Catholic Centre on Swarkestone Road opened. This closed in January 2019 and has now been demolished to make way for a supermarket. It is believed a new place of worship will be re-sited nearby. During the medieval period Chellaston became known worldwide for the quality of the alabaster mined in the area to produce monuments, tombs and tablets for churches etc. 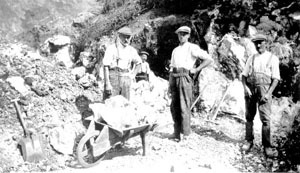 The mines were mainly in the area between Chellaston and the neighbouring village of Aston on Trent and they ceased producing alabaster in the early 20th century. Following the 1870 Education Act the Board School was opened in 1878 in School Lane, the building is still part of the Infants school today. Children attended this school for the whole of their school life. 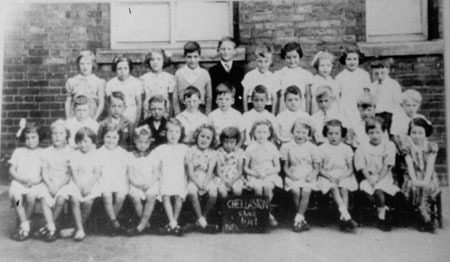 Eventually, in 1967, a junior school was built on the Flatts and in 1977 Chellaston Senior School (now Chellaston Academy) was opened. 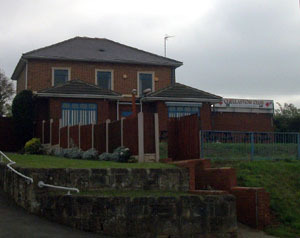 Another primary school (Homefields) was opened on Parkway in 2001. A further primary school, Chellaston Fields Spencer Academy on Riber Drive is due to open in September 2019. There are, at the moment (January 2019), three public houses in Chellaston open and two closed. R&R's Sports Bar, The Bonnie Prince and The Lawns, ( a hotel with accommodation.) The Corner Pin (formerly the New Inn) is now closed but due to re-open this year. 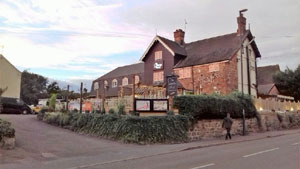 The Rose and Crown closed in January, 2019 and has been demolished to make way for a supermarket’s car park. 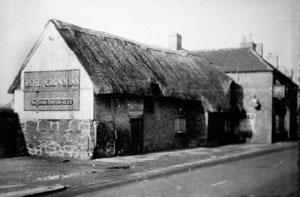 The Rose and Crown was almost certainly the oldest Chellaston public house. It was originally thatched and although much altered if you looked closely it was a far older building. This building was subject to a planning application to demolish it and replace with a supermarket which was granted in 2018. It closed in January 2019 and has now been demolished. The Lawns was converted from a Victorian villa (The Lawn) into a hotel/public house (The Lawns) in the mid to late 1900s. 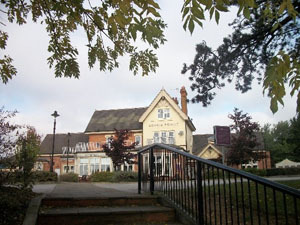 In March 2010, after a closure of approximately a year, The Lawns re-opened under new management and now has a restaurant area, and two bar areas with television in which food can be served. There is also a function room which caters for weddings etc. Overnight accommodation can be found here. 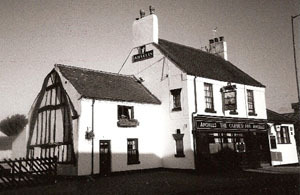 The Bonnie Prince was converted in the late 1990s from a Victorian residence (Holme Leigh) and has also recently been refurbished. Meals are served here and it has a children’s play area. There is also the popular R & R Sports Bar and Lounge, with a bar downstairs and lounge-style room upstairs, previously the Chellaston Club, and before that a Royal British Legion social club. This building was also a Victorian villa called The Hollies. The occupant in 1911 was Henry Fowler (later Sir Henry Fowler), Chief Mechanical Engineer of the Midland Railway. 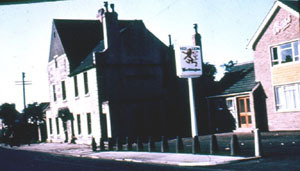 Another public house was the Red Lion which originally dated from c1829. This was demolished in August 1963 and a new pub built on the site of the gardens. This public house closed in the 2000s and remained empty for a couple of years. It was eventually converted into a Tesco supermarket. 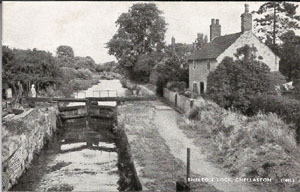 In 1796 the Derby Canal opened, running through west Chellaston linking the Trent and Mersey Canal with Derby. The canal closed in the mid 20th century but there are now plans to re-open it. The road through Chellaston became a turnpike (toll road) in 1856. 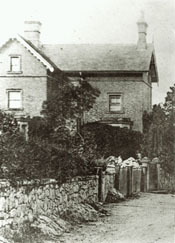 The toll house stood at the roadside, approximately where the bus stop in front of the chemist’s shop is now. The Midland Railway opened the Derby-Melbourne branch in 1868, eventually extending to Worthington, Weston on Trent and Stenson. 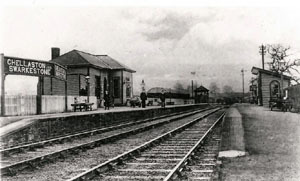 There was a railway station at the bottom of Station Road which closed in 1930 and after that the branch line operated solely as a freight line, eventually this ceased about 1966. 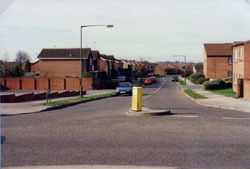 Today Chellaston is a rapidly expanding suburban village within the City of Derby.